Stuart Baxter, Itumeleng Khune, Tefu Mashamaite and Mandla Masango will all leave Kaizer Chiefs upon the expiry of their contracts next month. Amakhosi announced the news at a press conference on Tuesday morning, confirming speculation that has been doing the rounds in recent weeks. Also released is Katlego Mphela, Siyabonga Nkosi and Josta Dladla. Chiefs also revealed that Simphiwe Mtsweni, Chris Matombo, Levy Mokgothu, Zitha Macheke, Ovidy Karuru will be loaned out next season. Kaizer Motaung says an inability to agree on financial terms led to the exit of PSL Footballer of the Season Tefu Mashamaite. Motaung feels Khune was poorly advised by his agent, ultimately resulting in his exit from the club. "We cannot be held to ransom by anyone, it does not take one or two players to make a team. We look after our players well. I can be proved wrong, but Itu last season was the highest-paid player. But we understand that life should go on and people should be free to move on," Motaung said. The Amakhosi boss says the fact the Khune's agent works from overseas may have been detrimental to the player. The chairman also said that Chiefs made Masango an offer to stay, but that the counter-offer (presumably from Mpumalanga Black Aces) was too enticing. Motaung says the club will cast its net wide in sourcing a replacement for coach Stuart Baxter. Speculative reports have linked Maritzburg United boss Steve Komphela with the hotseat, but Motaung appears put off by the ex-Chiefs defender still being under contract. "I would like to believe Steve belongs to this club, but I believe he has a contract with his club," Motaung said at the press conference. "As far as the coach is concerned, we've always said that we cast our net very wide. Why must we restrict ourselves? We will not subscribe to the local versus foreign coaches. Our net is wide. We will decide at an appropriate time." He added: "As far as Doctor Khumalo and the technical team is concerned, we will make those announcements soon." Glamour Boys football manager Bobby Motaung said: "The club has a policy when a new coach comes, we will not disclose the policies, there are structures here." Baxter - a two-time and the current PSL Coach of the Season - delivered two League titles, the Nedbank Cup and the MTN8 trophy in his time with the Soweto giants. The South African Under-23 side’s bid for a place at the Olympic Games in Rio de Janeiro will take place late this year after CAF announced the dates for the African Under-23 Championship to be staged in Senegal. The tournament, which will serve as a qualifier for the Rio tournament, will be held from November 28 to December 12, offering more headaches for coach Owen da Gama, who must persuade PSL clubs to give up their best youngsters. South Africa have not yet qualified for that tournament, but have a very good chance with just one of Zimbabwe or Swaziland standing in their way. Those two played to a 0-0 draw in Swaziland in the first leg of their preliminary round tie and, with the return in Maseru to come, Zimbabwe may well consider themselves favourites. They will meet the winner of that tie in July for a place in the continental finals. South Africa got a stroke of fortune in qualification for the Under-23 competition with Senegal initially in their path to the finals. But when DR Congo pulled out of hosting the event and it was moved to Senegal, the latter qualified as hosts and the draw opened up for South Africa. Meanwhile, CAF also announced that the 2016 African Women’s Championship in Cameroon has been moved to November 19-December 3 and will be played in Yaounde and Limbe. The tournament had initially been scheduled for October, but heavy rains at that time of year saw Cameroon request the date change, to which CAF agreed. CAF also ruled favourably on the request of the Tanzanian Football Association to host the 2019 African Under-17 Championship, as well as on Niger’s request for the CAF Under-20 Championship the same year. CAF has also opened tenders for the organisation of the 2017 Africa Beach Soccer Championship, 2018 African Women Championship, 2020 African Nations Championship (CHAN) and the 2020 African Futsal championship. The PSL Disciplinary Committee has found Mamelodi Sundowns defender Alje Schut and Mamelodi Sundowns guilty of bringing the League and sponsors into disrepute. This following a post-match incident after the Absa Premiership fixture between Sundowns and Mpumalanga Black Aces that was played on 8 April 2015. Sundowns coach Pitso Mosimane was acquitted. This is contrary to information they received from the PSL on May 29. Schut was fined R10 000 and Sundowns R20 000 which amount has been suspended for 12 months on condition that the club is not found guilty of a similar offence during the period of suspension. The parties were ordered to pay the costs of the sitting. Platinum Stars striker Patrick Malokase has announced his retirement from professional football. The 33-year-old announced via Twitter that he will be hanging up his boots when his contract expires at the end of June. "A very emotional day for me. I have decided to officially retire from professional football after 15 years," he tweets. “Thank you to the players I have played with, coaches and supporters." Malokase made six lague appearances for Dikwena this season and got one assist. He started his career with Young Tigers in 2000 and went on to play for Free State Stars, Bloemfontein Celtic and Orlando Pirates. The South Africa women's team destroyed Gabon 5-0 on Sunday to advance 8-2 on aggregate in the 2016 Olympic Games qualifiers. Jermaine Seoposenwe struck twice for Banyana Banyana to go with goals from teammates Amanda Dlamini, Refiloe Jane and Sanah Mollo at Dobsonville Stadium. Vera Pauw's charges will face Kenya in the third round of qualifying in July after the East Africans edged Botswana on the away goals rule following a 2-2 stalemate across two legs. PSL chairman Dr Irvin Khoza says the artificial economy that has been created by clubs that are paying big salaries is unsustainable. Speaking to the Sunday Sun on various issues, the Iron Duke was at pains to explain that there are not a lot of club bosses with ‘deep pockets’ and therefore, the situation is unfortunate. “The reality is that we don’t have club owners who have deep pockets. Unfortunately, the way the market has turned out is an artificial economy, which is not sustainable. Sadly, these club chairmen who have sacrificed so much to protect this industry for so long are not enjoying the fruits of their labour,” he said. In what appears to be a swipe at agents, Khoza insists that the clubs cannot afford to keep up. “Destructive forces have been developed by this artificial economy. There is a lot of outside influence because they invest nothing and benefit – and now they expose the club chairmen as unreasonable people. When those players come to the end of their careers, they have nowhere to go. Not many clubs can afford those high salaries. I can’t afford it myself. Some players earn more than me. If other clubs can do that, good luck, we can’t compete. We can’t blame them. We hope that those people are going to be here in the next 20 years. It won’t be right if they come and leave the market in a mess like that. That’s why in Europe, they always talk about financial fair play. That’s why I have respect for people like Jomo Sono, Mike Mokoena and Veli Mahlangu. They’ve taken income from their families for football. It is not about your riches, it is about what you do for your country. Everybody can buy a Mercedez Benz, but not everyone can buy wisdom,” Khoza concluded. 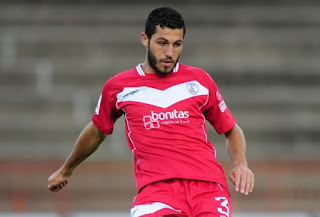 Free State Stars defender Themba Tshabalala believes that Daniel Cardoso will succeed at Kaizer Chiefs next season. Cardoso is set to be officially unveiled as an Amakhosi player, with the Johannesburg-born defender believed to have already signed a three-year contract with the Phefeni Glamour Boys. And fellow defensive teammate at Stars this season Themba Tshabalala feels the 26-year-old will be a hit at the current PSL champions. 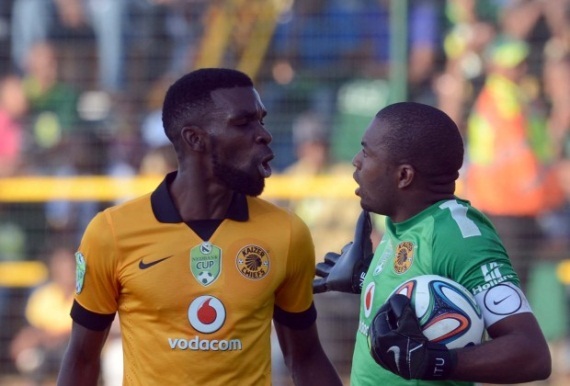 "I only heard rumours that Daniel might be going to Chiefs. If it’s true that he has signed, that’s great news to hear! He deserves it,” Tshabalala said. "He is quality. There is no doubt about that. He is not only going to add numbers at Chiefs, but value. I believe he will get his jersey.” Tshabalala described Cardoso as one of the most hard-working players at Ea Lla Koto this past season. "He works hard and can play in any position on the field, he says. "In the last six games, Cardoso showed his worth and true potential. As a person, he is quiet, but also friendly to everyone around him,” Tshabalala adds. Midfielder Sameehg Doutie is set to become a free agent next month after SuperSport United decided against extending his stay. Doutie spent the last season on loan at Bidvest Wits but both Wits and United have not yet expressed their interest in keeping the Cape Town-born winger. The former Ajax Cape Town man made 17 starts and seven substitute appearances for Wits this season scoring two goals and notching up four assists. The Students have already released Zambian striker Christopher Katongo. Wits have already signed midfielder Daine Klate from Orlando Pirates. Tthe National Soccer League has agreed to raise the grant to National First Division teams next season. The second-tier sides currently receive R380 000 a month, with this said to be rising to R700 000, according to an official at a NFD club. "This is certainly a great relief for NFD teams," says the official. "This will go a long way to ease the financial burden and improve the quality of football in the National First Division." Premier Soccer League clubs receive R1.5million from the League every month. Dean Hotto's brace secured Namibia's first Cosafa Cup trophy after a 2-0 victory over Mozambique at Moruleng Stadium on Saturday. The Golden Arrows midfielder capped an impressive tournament in fine style with two goals in the final to take his tally for the tournament to four, joint-top of the scoring charts with his teammate Benson Shilongo. Ricardo Mannetti's side saw out the remainder of the game with little trouble to record their first-ever southern African title. They were runners-up in 1997 and 1999. Ghana defender Rashid Sumaila has confirmed that he won’t be returning to Mamelodi Sundowns after his loan spell at Kuwait side Al Qadsia SC. The 22-year-old has spent the last five months at Al Qadsia after he was not registered by Sundowns for the 2014/15 season and now says he will be signing a permanent deal with Al Qadsia. “My future has been decided I will be signing for Al Qadsia and Sundowns are aware. I have been here for some time and I’m certain that this is the right deal for me at this point in my career,” he says. Sumaila was part of the Black Stars squad that competed at the 2014 FIFA World Cup. Siyaya TV and Safa have disputed claims that the SABC and Safa have signed a new TV rights agreement to broadcast Bafana Bafana matches. The public broadcaster claimed on Wednesday that they have reached a three-year agreement with Safa regarding the broadcast rights to showcase all local games for Bafana, Banyana Banyana, as well as the men’s Under-20 and Under-23 teams on SABC platforms. Hlaudi Motsoeneng, SABC's chief operations officer, was quoted saying that: “As the SABC this agreement will provide a platform for soccer-loving South Africans, through our various channels, which have a far-reaching footprint across the country, an opportunity to see their national teams in action.” However, Siyaya TV and SAFA have, according to News24, released a joint statement that states the contrary. The statement reads: "Safa wishes to place on record that Siyaya TV is and will remain a long-term strategic broadcast partner of Safa. We emphatically reject any speculation or statements to the contrary. The partnership between the two parties (Safa and Siyaya TV) has enabled Safa to take its broadcast platform to an entirely new level, which will now enable soccer-loving fans greater access to the beautiful game." Safa signed a deal with new pay-TV service Siyaya TV, reportedly worth R1-billion, last year. Orlando Pirates have announced they will now host AS Khaloum at Bidvest Stadium due to "pitch maintenance" at Orlando Stadium. The Sea Robbers will battle their Guinean opponents on June 6 for a place in the group stages of the CAF Confederation Cup. Eric Tinkler's men won the first leg 2-0 in Mali. Baroka FC chairman Khurishi Mphahlele has confirmed the sale of midfielder Gift Motupa to Orlando Pirates. Motupa, a former target of Mamelodi Sundowns, netted nine goals in the National First Division this season. Moroka Swallows director Godfrey Gxowa believes the team is heading to the ABC Motsepe League if current CEO Leon Prins does not step down. Swallows lost 1-0 to Black Leopards in their promotion play-off match on Sunday to get relegated to the First Division. Gxowa, who has been with the club since 1951, said that he was heartbroken to see his beloved relegated. “What happened this weekend was a disaster,” Gxowa says. “I’ve never seen a technical team that goes into a match as if there is a third leg to be played. The match against Leopards was a must-win, but we had 10 players behind the ball and invited them to come at us. There was no third leg between us and Leopards; that was a final match and the technical team didn’t know. When Nyundu scored I knew things were bad for us.” In the last 15 years, Gxowa and other club minority shareholders have been at loggerheads with current CEO Leon Prins about the running of the club. 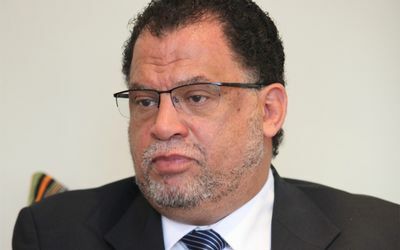 Gxowa says if Prins doesn’t step down, things will go from bad to worse. “For the last 15 years things have been building up to relegation. Things were only better when Gordon Igesund was in charge – after that we continued going down. Now we are going straight to the Motsepe League because NFD is no pap en vleis … things are tough there. Prins has lost the plot and he needs to hand the team back to the people who were running the club. We have good players from Soweto who are coached by Ace Mnini, but they are ignored by the current coaching stuff. Things must change but that will not with the current people running the club." SA players abroad round-up: Lebogang Phiri featured for Europa League-bound Brondby, Siyanda Xulu remains in limbo, while May Mahlangu was sidelined with a knock in European action on the weekend. LEBOGANG PHIRI - Phiri played for Brondby in their 1-1 Danish league draw at Rangers, with the team assured of a third-placed finish with a game to go. Brondby sealed a spot at next season's Europa League with a 3-2 victory over Midtjylland a week ago. SIYANDA XULU - Xulu was not involved at all as his Russian Premier League side finished the regular season in the relegation playoff position. MAY MAHLANGU - Mahlangu was not involved in the final match of the season for Knoyaspor after picking up a knock in the week. CHEYNE FOWLER - Fowler was a second half sub as his Finnish second-tier side Haka won 1-0 at home to AC Oulu. PULE MARAISANE - Maraisane was a late substitute for Swedish second-tier side GAIS as they thumped Mjallby 4-1. It was his second appearance for his new team. AYANDA NKILI - Nkili came off the bench for Orebro in their 2-2 draw with Elfsborg in the Swedish top-flight. 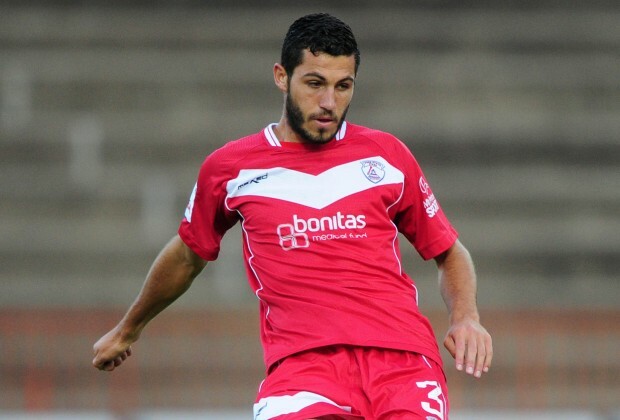 RICARDO NUNES - Nunes played the full game for Pogoń Szczecin as they lost 1-0 to Lech Poznan in Poland. LUKAS SCHENKEL & JOEL UNTERSEE - Neither featured in the match day squad for Swiss league sides FC Thun and FC Vaduz respectively. Schenkel has already been confirmed as leaving Thun, while Vaduz was on the threshold of a yellow card ban that can be carried over into next season. TIYA SHIPALANE - Shipalane helped Carolina Railhawks up to second in the NASL with a thumping 4-0 win over Jacksonville Armada.